Blitzkrieg, meaning 'Lightning War', was the method of offensive warfare responsible for Nazi Germany’s military successes in the early years of the Second World War. Combined forces of tanks, motorised infantry and artillery penetrated an opponent’s defences on a narrow front, bypassing pockets of resistance and striking deep into enemy territory. The German Air Force (Luftwaffe) provided close air support, bombing key objectives and establishing local air superiority. Radio communications were the key to effective Blitzkrieg operations, enabling commanders to coordinate the advance and keep the enemy off balance. These techniques were used to great effect in 1939, when the Polish Army was destroyed in a series of encirclement battles. In May 1940 Hitler attacked France, his panzer divisions smashing through slow-moving French formations and cutting off the British Expeditionary Force at Dunkirk. Spectacular success was also achieved during the invasion of the Soviet Union in 1941 and large numbers of Soviet troops were captured. 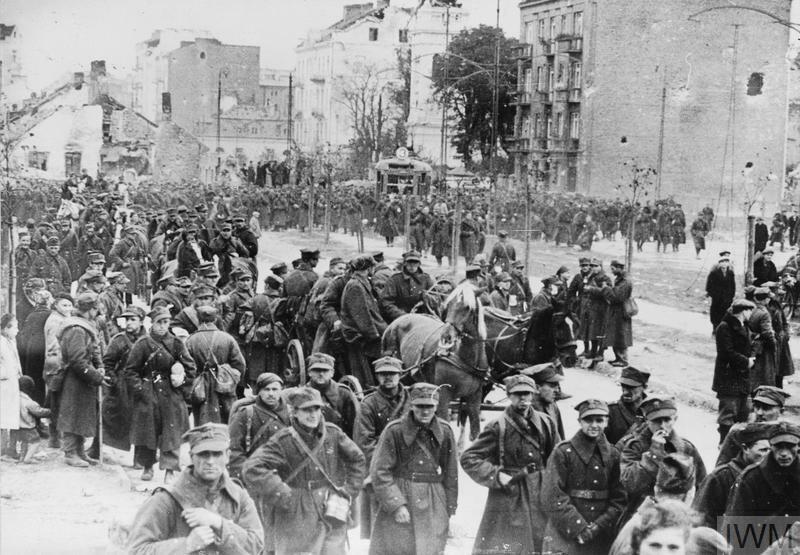 Captured Polish troops march out of Warsaw after the city was taken by the Germans on 28 September 1939. The Polish Army was large, but poorly equipped and thinly spread. It lacked the means to counter Germany's modern armoured forces. But Blitzkrieg was less successful against well organised defences. The flanks of rapidly advancing mobile forces were vulnerable to counter-attack. Soviet commanders learned to blunt German assaults with successive defence lines of guns and infantry. By 1943 the days of Blitzkrieg were over, and Germany was forced into a defensive war on all fronts. 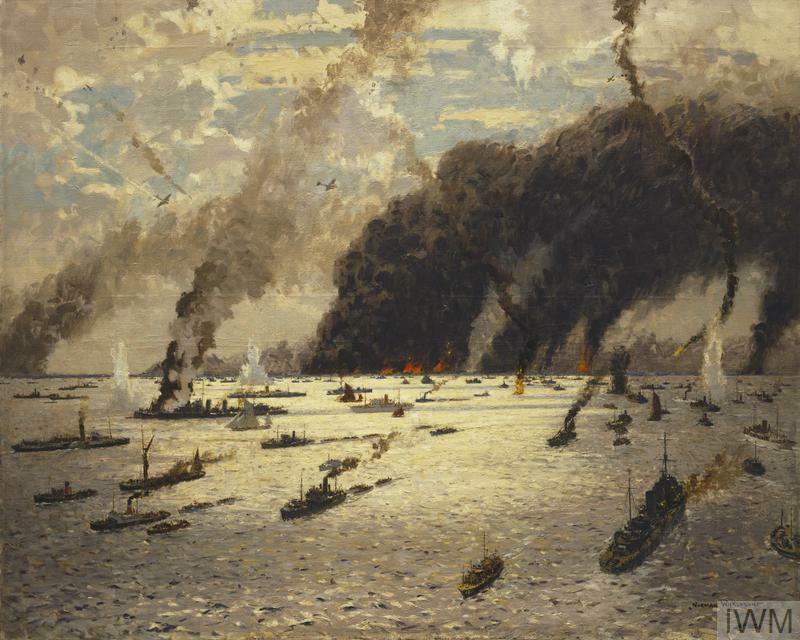 On 10 May 1940, Germany invaded France and the Low Countries, pushing the British Expeditionary Force (BEF), along with French and Belgian troops, back to the French port of Dunkirk. A huge rescue, Operation 'Dynamo', was organised by the Royal Navy to get the troops off the beaches and back to Britain. Over 338,000 soldiers, a third of them French, were rescued between 27 May and 4 June on the beaches of the French port of Dunkirk. 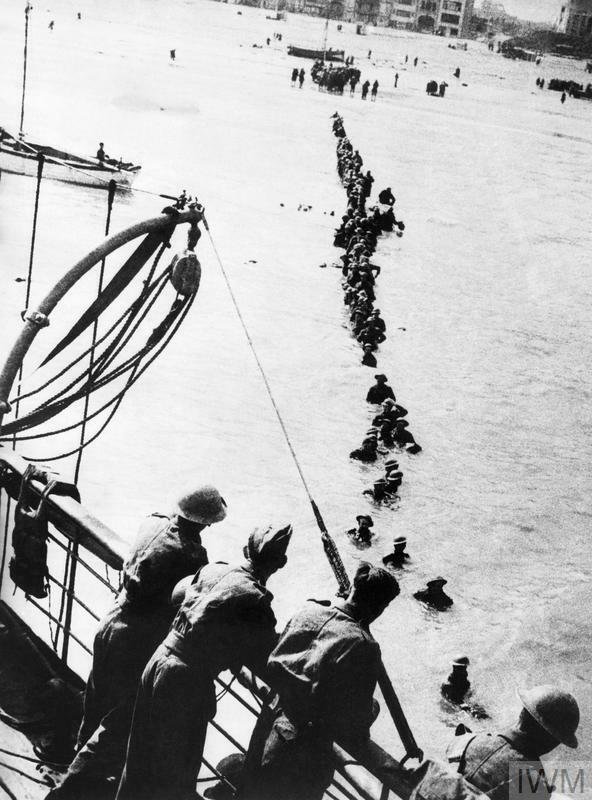 Here are seven photographs from the evacuation of Dunkirk. 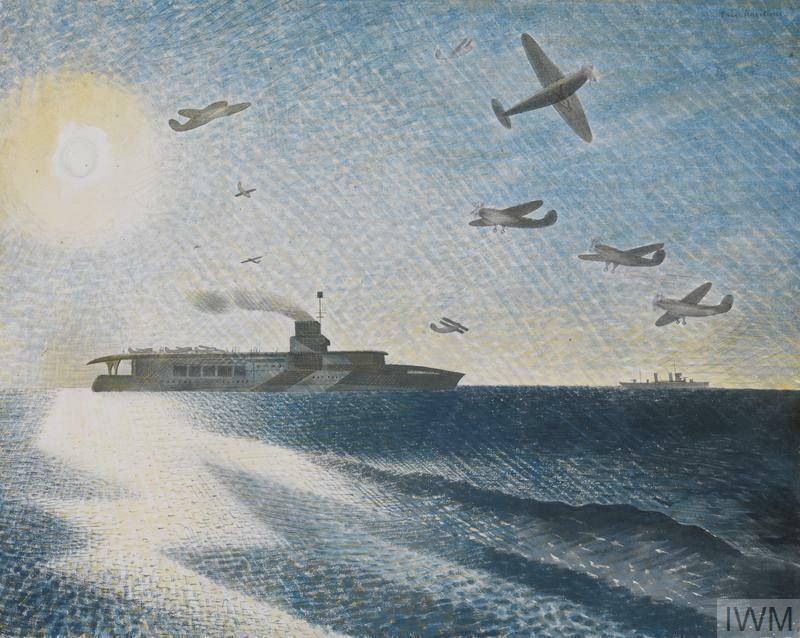 HMS Glorious in the Arctic, 1940, by Eric Ravilious. Poorly armed, neutral Norway became the first victim of Germany’s Blitzkrieg in western Europe in April 1940. Both the Allies and Germany ignored Norwegian neutrality.